We tend to forget. When Chicago first opened on Broadway in ’75, reviews were less than stellar. The issue was director/choreographer Bob Fosse. 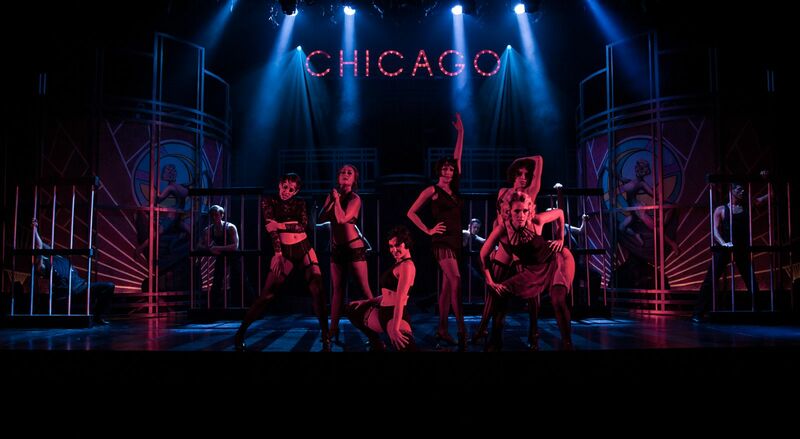 Despite a new book, Chicago wasn’t really an original, reviewers wrote; it was a re-hash of everything seen before – a showcase for all things Fosse to razzle and dazzle us in one big package, and they had a point. The slinky pelvic moves, the side-steps, the wrist turns and the upward finger pointing; all the Fosse trademarks developed over the years and all previously seen were certainly there. So, too, was Pippin’s skidoo, the Sweet Charity women draped over the nightclub hand rail could be the same ones behind bars doing the Cell Block Tango, and everyone, save the men, were dressed for some reason like Sally Bowles. In fact, the resemblance was all too much for famed Broadway director Hal Prince. In a now famous Broadway letter to song writers John Kander and Fred Ebb, with annoyance he pointed out that they should, “…Tell Bob Fosse that Chicago in the 1920s is not Berlin.’ Ironically, the very thing reviewers disliked was exactly what audiences loved. They kept it running for two years. And then it sort of stopped until ’96 when one-time Fosse protégé and romantic partner Ann Reinking revived the show in a revamped form. The credits read that the choreography was by Ann Reinking in the style of Bob Fosse. If you were lucky enough to see the original seventies production you’ll know the difference; today it’s like seeing a new show with the same songs. And if you’re lucky enough to get a ticket for the Phoenix Theatre production that began its 2015-16 season this past weekend, you’ll be seeing one of the most accomplished local musical productions ever staged in the valley. How about that for a lead-in? If the difference between the seventies original and the nineties revival was startling, the Phoenix production takes it even further. Looking back, the musical was always a darkly staged affair making things appear practically black and white. Here, in addition to the electronically red blazed title hanging throughout from above, its letters illuminated by marquee bulbs reminiscent of a seaside pier-front heralding both the show and the location, plus the plush red curtains hanging center creating the illusion of a stage within a stage, this Phoenix Theatre production is an eye-catching, often colorful affair creating a look in a way that the Reinking production never did. Greg Jaye’s original scenic concept is in the hands of scenic designer Joel Birch, and the whole thing is hugely effective. Those center stage curtains and accompanying staircases are flanked by two revolving stages so that shorter, individual moments are played out on raised platforms either side. This all adds to the smoothness of scene changes as the show slides from one moment to the other without interruption. Presented with another nicely designed Mike Eddy lighting display, the whole production moves as slick as a Bob Fosse signature slide step. The ensemble cast, full of locally recognizable faces who together perform Sam Hay’s demanding choreography in the spirit of Fosse, are sharp, disciplined and in-your-face. Backed by Alan Ruch’s customary tight musical direction, almost every song and dance is an aggressive showstopper. They were always designed that way, but with this Phoenix Theatre production under the watchful eye of Michael Barnard – who clearly loves musical theatre with a passion – there are times when you want the show to stop, go back and do it again. As soon as the opening number, All That Jazz, concludes, you want an encore, just to make sure it really was as good as you thought it was but never expected it to be. Same with Cell Block Tango where those powerful fantasy women stomp their high-heeled feet to the beat and appear like the shapeliest of street walkers in Cari Smith’s revealing costumes, inspired from the glittery section of Frederick’s of Hollywood. Bathed in a sexually charged crimson light, it’s as if the ladies of Amsterdam’s red light district had arranged themselves into a sudden flash mob. There are great numbers throughout, but All That Jazz and Cell Block Tango are the standouts, and if the show’s book suffers from anything it’s that they both appear within the first fifteen minutes of the production. As for individual players, you’ll remember Walter Belcher’s enigmatic lawyer Billy Flynn who here is played with just a hint of menace. By size, presence and power, he often looks as though he just might turn on those he’s supposed to be representing if they don’t follow his rules. Terey Summers nicely evokes the spirit of the legendary Sophie Tucker as Mama Morton upon whom the role was based, while Brian Runbeck’s solo Mister Cellophane not only manages to instill a real sense of sympathy for the sad sack of a husband, it also successfully uses the vaudevillian style inspired by another legendary performer, Bert Williams, an entertainer once described by W.C.Fields as one of the saddest men he ever knew. And that’s just how Runbeck makes us feel every time we meet Amos; he’s the saddest man we’ll ever know, and even though no one remembers Amos, you won’t forget Runbeck. 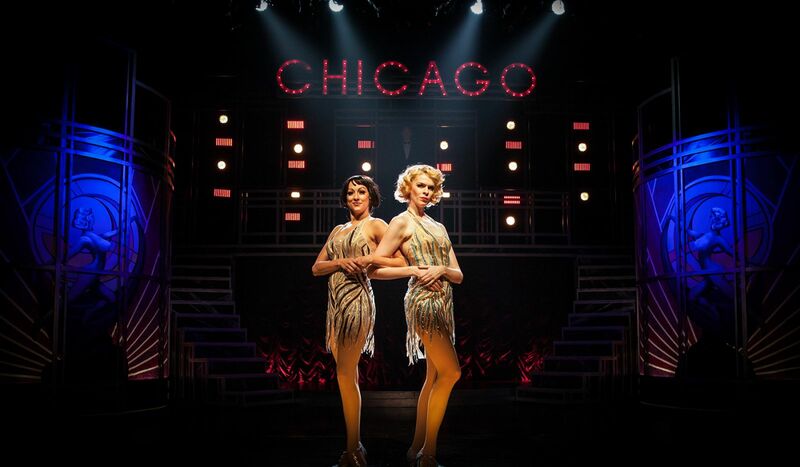 But the success of Chicago will always boil down to the casting of its two leads, Roxie and Velma. As Roxie, long-legged Kate E. Cook fully embraces the chance she’s been given to shine, which she does, brighter than those marquee bulbs hovering above throughout the show. 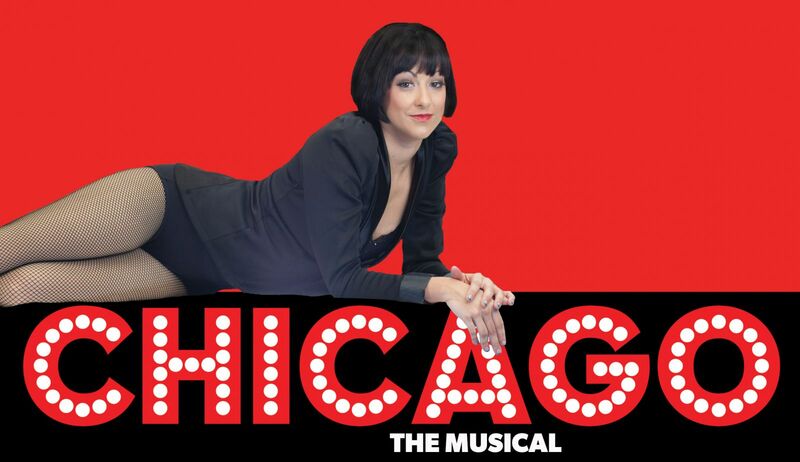 With her high kicks, those sensuous moves and a natural comedic talent, Kate is exactly what you want Roxie to be. Her opening number Funny Honey displays everything the character is and everything Kate is capable of performing, all in that one song. As for Jenny Hintze as Velma, like Runbeck’s Amos – but for different reasons – you’re not going to forget her. Jenny is among those local performers we’ve seen continually deliver great work not only at Phoenix Theatre but at other theatres around the valley, yet with each new production her talent develops that little bit more. You suddenly witness something in her you’ve never seen before, and it happens each time. The resume was already impressive, but with those killer moves, wonderfully executed in the show’s stunning opening of All That Jazz, the deal is sealed. Going forward, once you’re told Jenny is in a production, you know it’ll be something you’ll want to see. For Chicago, Phoenix Theatre has raised the bar, again. The challenge is on. Other theatres in the city need to keep pace. It won’t be easy. For more regarding times, tickets and dates, CLICK HERE for the official Phoenix Theatre website.